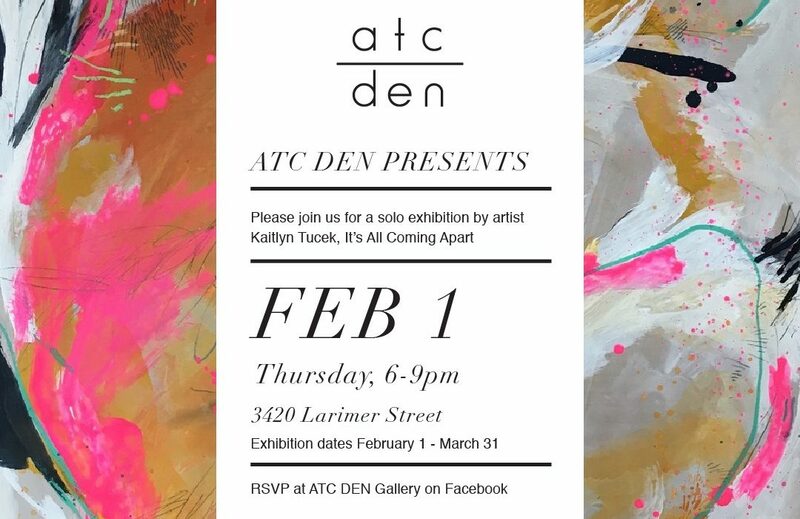 Denver-based gallery and community creative space, ATC DEN, will be hosting an exhibition with Denver-based artist, Kaitlyn Tucek, It’s All Coming Apart, of which kicks off on February 1st, 2018 and will run through March 31st, 2018.
inspired by her new environment. The exhibition tells the personal story (and struggle) of Tucek’s life, a story about gradually losing (and later gaining back) control. 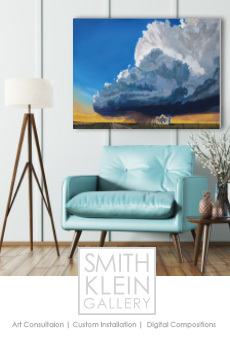 Her story is one about strength and resilience, all the while continuing to carry a tremendous amount of weight as both a mother and a woman. The event will run from February 1 through March 31, 2018, at the ATC DEN. For more information visit, ATCDen.com.